Valentine’s Day is almost upon us – a day which over time has developed from sending anonymous, handmade love-notes to your secret crush into a day where in the UK alone it is forecast that over £1.2 billion will be spent on cards, gifts and meals, all designed to tell our loved ones how much we care. Spending in the USA is at least 20 times higher, which, when added to the amounts spent in other countries celebrating Valentine’s Day, makes a staggering total. All this money being spent for one day makes us think about whether there are other ways it might be used and about the millions living in poverty around the world, who have barely enough to feed themselves and their families, far less spend on Valentine’s gifts. Do we really need to spend so much money on February 14th to show our love for the people in our lives? In fact, there’s a growing trend in countries like Australia to return to the Valentine’s Days of the past and an adopt an ‘it’s the thought that counts’ approach, choosing instead to share a romantic meal at home or even simply the original tradition of a home-made card. But there is a way you can spread your love wider still in February. How about sharing some (or all!) of the money you save from a more low-key Valentine’s Day with some of those who don’t have the same love and support in their lives. 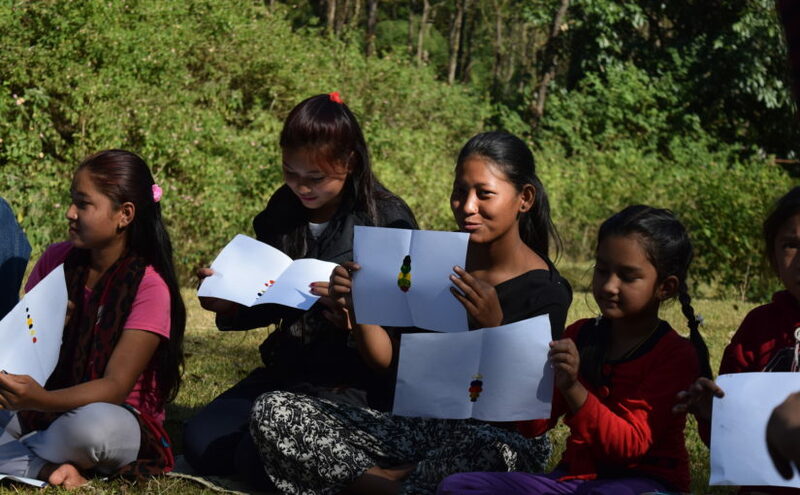 At Kidasha we work with children and young people who completely lack a support network and are living and working on the streets of Nepal, and some who face abuse within their own families. It’s children and young people like this who not only need love and affection but also urgently need protection and access to health care and education – which all come together to improve their wellbeing, resilience and life opportunities. Imagine if everyone in the UK donated just 10% of the money they planned to spend on Valentine’s Day to charities and organisations looking to spread much-needed love and care around the globe. £120 million would make a phenomenal difference to their work – why not start a new tradition with your loved ones this Valentine’s Day?